Crail Harbour where you'll find the lobster and crab shack for the freshest local shellfish. At low tide Roome Bay beach is perfect for rock-pooling. 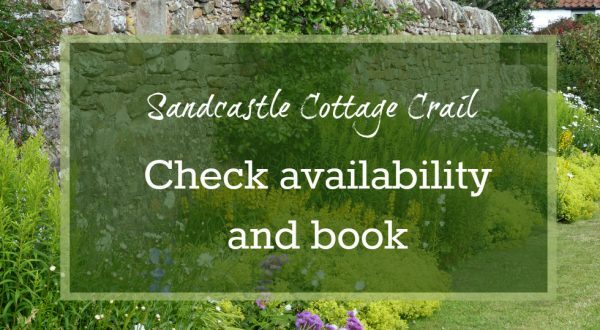 How to book your stay at Sandcastle Cottage, Crail We’d love to welcome you to Sandcastle Cottage, so just check that the dates you require are available using the ‘Book Now’ box and send us an enquiry. 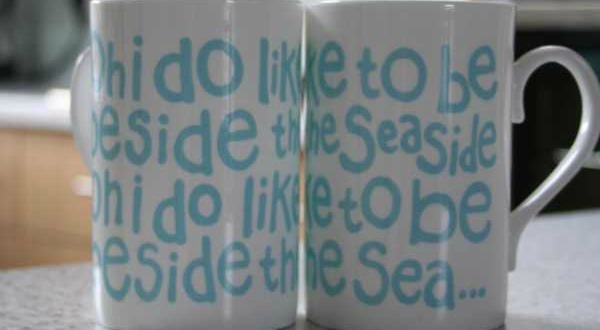 We hope that you will feel at home at Sandcastle Cottage, and enjoy exploring the local area. 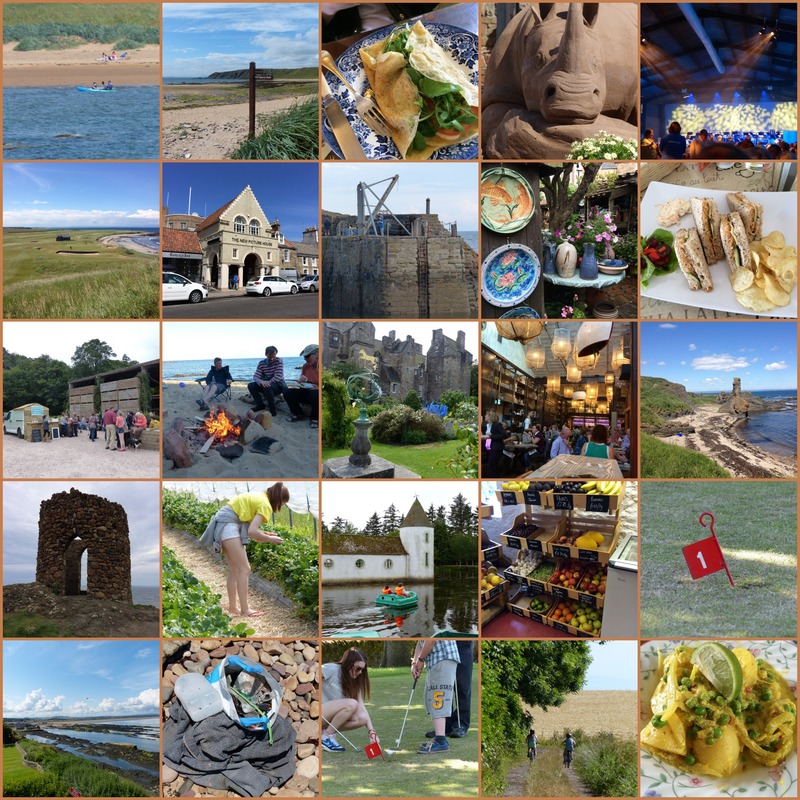 You’ll find lots of ideas here for things to do around the East Neuk of Fife. 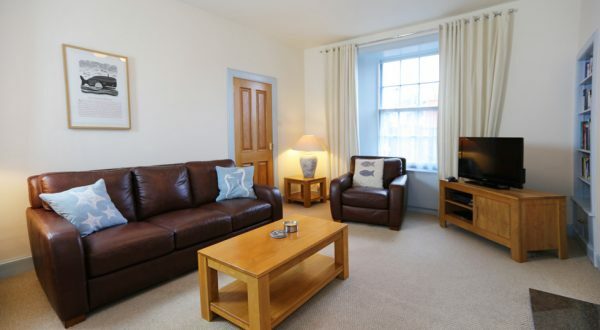 If you’re searching for late availability holidays near St Andrews, you’re in the right place! 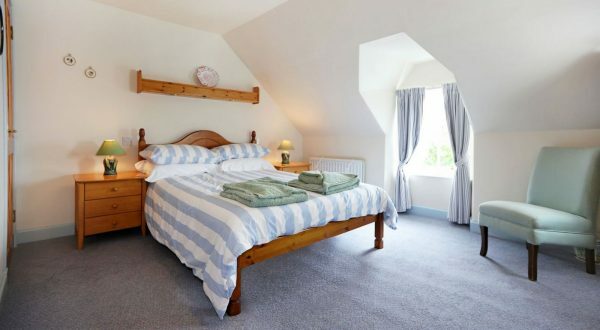 Sandcastle Cottage sleeps 5 in two bedrooms. 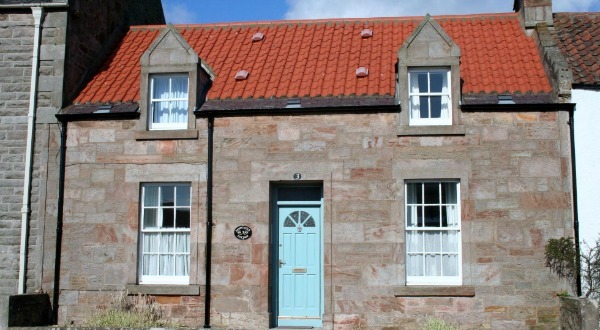 One is a double bedroom, with en-suite shower room and views over the street towards Roome Bay, Crail. The second bedroom is a triple room with 3 single beds. 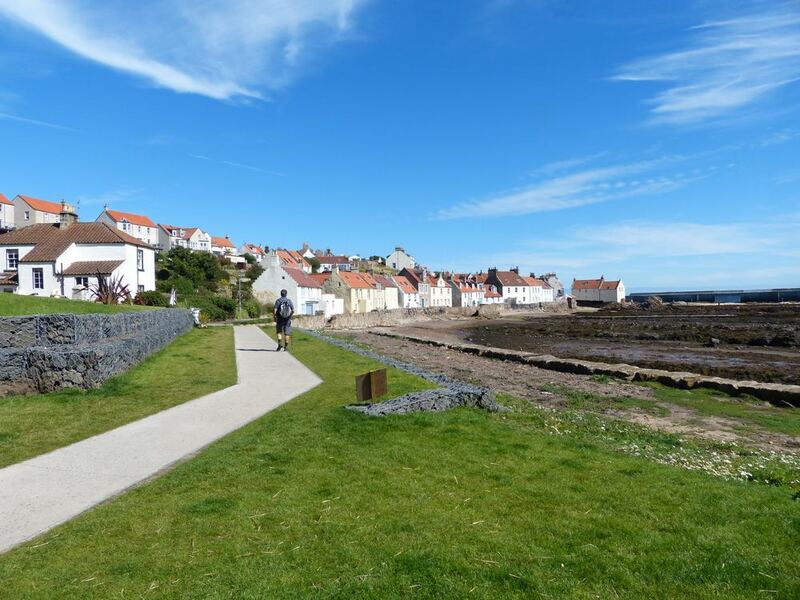 Ideas for things to do on a family holiday near St Andrews in the East Neuk village of Crail. 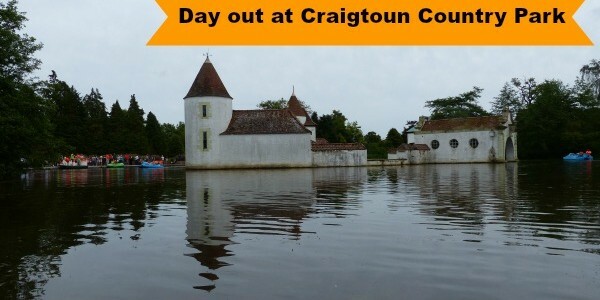 Helpful suggestions for things to do on a visit to Crail. 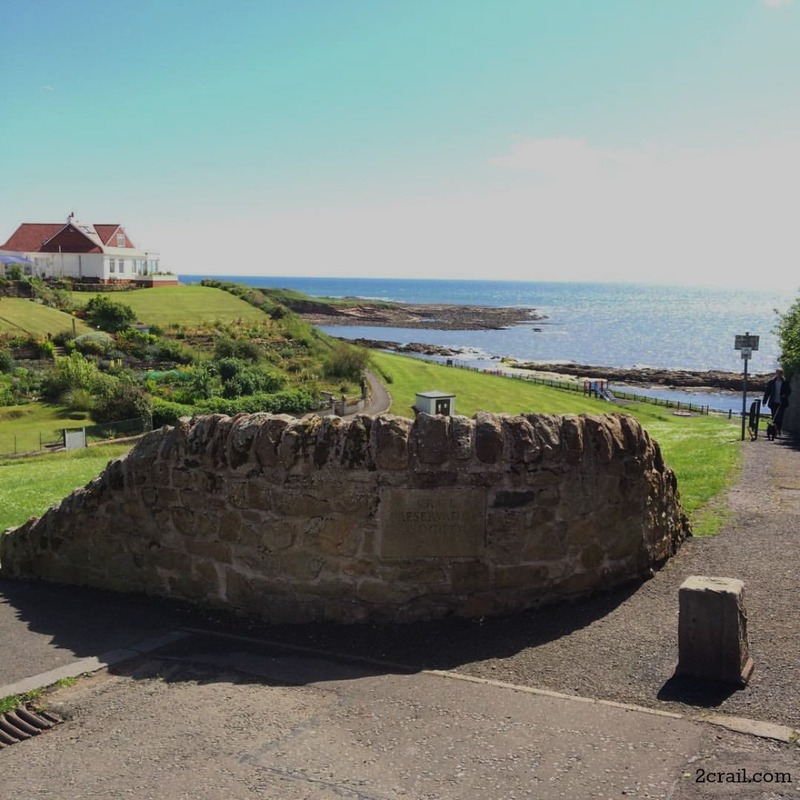 This St Andrews South Walk is an easy circular walk which will take you approximately two hours and offers the walker spectacular views across St Andrews, St Andrews Bay and surrounding countryside. Sandy and Susan’s Walks on the Fife Coastal Path Walking Fife: time for a summary of our Fife Coastal Path walks. This will mean you have an easy guide to find the different walks which we’ve completed over the years. When staying at Sandcastle Cottage you are never far away from some great walks and amazing wildlife. The Fife Coastal Path passes your doorstep.